LiveWell Colorado increases access to healthy eating and active living by removing barriers that inequitably and disproportionately affect low-income communities and people of color. Learn how you can join us in the fight for a healthier Colorado below. Get email updates from LiveWell Colorado to stay on top of the issues you care about. And be sure to check out our blog for the latest news. Visit our advocacy action center to lend your voice in support of healthy policies. LiveWell Colorado is a nonprofit organization that relies on support from generous donors like you. Lend your time and talents to help improve the health of Colorado communities across the state. LiveWell works with local, state and national partners to advance a comprehensive policy agenda. We work at the municipal, state and federal level to develop a sustainable, equitable and health-promoting food system, as well as an accessible and equitable active living and transportation environment. There are many ways you can get involved with LiveWell’s policy work. 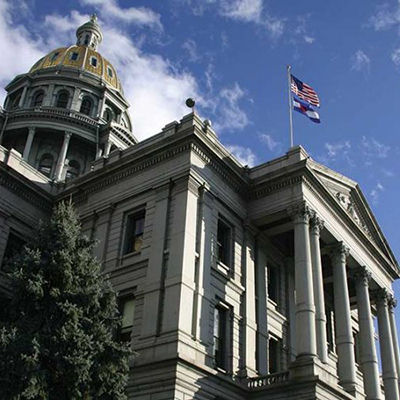 Learn about our topical policy committees, the HEAL Network, the Colorado Food Policy Network, the policy update and advocacy action alert lists, and how you can advocate for a healthier Colorado.